This entry was posted on Tuesday, September 18th, 2018 at 3:40 pm	and is filed under Living Proof Live, Recap Videos, simulcast, Uncategorized, Videos. You can follow any responses to this entry through the RSS 2.0 feed. You can skip to the end and leave a response. Pinging is currently not allowed. I attended the simulcast on Saturday and was b,own away. I needed it more than I knew. You said to tweet you and I did. I’m afraid that someone has copied your Twitter Page. I was chatting with someone who said they were you but it wasn’t. The conversation contained a great number of scripture passages but also asked for my personal information. It was interspersed with the scripture and I was vulnerable so I gave it. They then asked me to give money and kept asking me how much I can give. I realized that it was t you and deleted my responses but I’m sure they already had my info. I feel very violated. Please search on Twitter to find counterfeit page. I reported it but they said it was fine. I feel stupid for going al g with it but I don’t want others to give money. I did not, thankfully. I thank God for you, Beth. Hi Pat, could you please email us at media@lproof.org with the username of the person you were talking to on Twitter. Thank you so much for letting us know! I have also been approached on instagram. :/ At first I was so tickled to have Beth Moore “request to follow me” here are some of the names I suspect are not our beloved Miss Beth. Thank you so much for letting us know. We will look into it. Blessings! I have done many Beth Moore studies and watch Living Proof TV, but this was my 1st Simulcast. It was held at my church, St James UMC in Tulsa, OK, and IT WAS AMAZING! The theme and the video of women all over the world along with the worship was Holy Spirit filled and inspired. I am revived in my soul and hopeful for the Bride after seeing her displayed through this event. 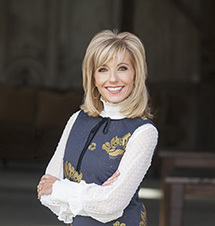 Thank you Beth Moore and Living Proof! I know the simelcast event is over but can we still sign up for it to watch it now? I watched the simulcast with several girl friends. We enjoyed it so much. A couple of the ladies also asked me to see if I could find the list of Ibeen & Imboutas from the simulcast. I told them I’d try to contact you and see what we could do. Thank you! So glad to hear from you, LuAnn! We are going to hold off on sharing that list for now, and appreciate your understanding! Wondering if there is a way that I can get a pdf copy of the “ibeena – iabouta” list that Beth recited during the Simulcast. Would love to have it to share with my preteen girls group. Thank you. Hey Lin, So happy to know you were with us at the Simulcast. We are going to hold off on sharing that list for now. Thank you so much for understanding! I have been in a simulacast before but I always want to be at the live event. This time I was in Huntsville and it was the best. I have never experance anything like before. The Spirit of the Lord was so great and so real it is hard to fine words to express how great it really was. I needed a renewing and this was just what i needed. Thank you for following the leading of the Holy Spirit with words and songs. I attended in Huntsville. I had looked forward to this event all year long as soon as I knew living proof was coming to Alabama. It was our Mom and daughter, God Day! I want you to know it has been a very broken and hard year!!!! I have been under attack from the enemy in such a way I was just going to take my life! I’m so tired, I do not have the support of strong Christian’s around me. Mostly my job is to be the strong one that everyone depends on, the one that everyone thinks should go above and beyond, you see that’s just me! I literally had my breath taken a couple of time’s at the event, how did she know that, I thought! Because I was thinking that is me, that is so my life. I’d cry then I’d laugh and I realized God was not finished with me yet! I wish I could sit in that room again and hit rewind over and over till it all completely sank in to my very bone’s. I’ve let so much in I want to be better, I really do! It has still been a battle but a better one! I realized Tuesday of just this week about how extreme the love of my God is! Thank You so deeply for the awesome ministry that you guy’s work so hard on, that help’s people like me. So hungry for the deepness of God that I will fully trust in every word of every verse that carries me away in truth and the most ultimate love of MY God! I will keep up the good fight, I will finish the race, pray!